Fall Baking is here to stay. Fall is by far my favorite season and the past couple days it has begun to feel like Fall here in DC. The morning low today was only 50 degrees today and the afternoons are beautiful. I will definitely be taking my little man for a walk today. With the change in seasons comes baking with pumpkin. I could not wait to break out the pumpkin so in addition to these muffins, I also made pumpkin pancakes for dinner one night last week. 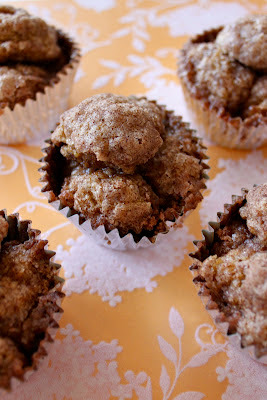 These muffins are a little time consuming, but are incredibly delicious. They perfectly embody everything about the season. I think they would be perfect with a Pumpkin Spice Coffee. Preheat oven to 425 degrees Fahrenheit. Line 2 muffin pans with paper or foil liners. 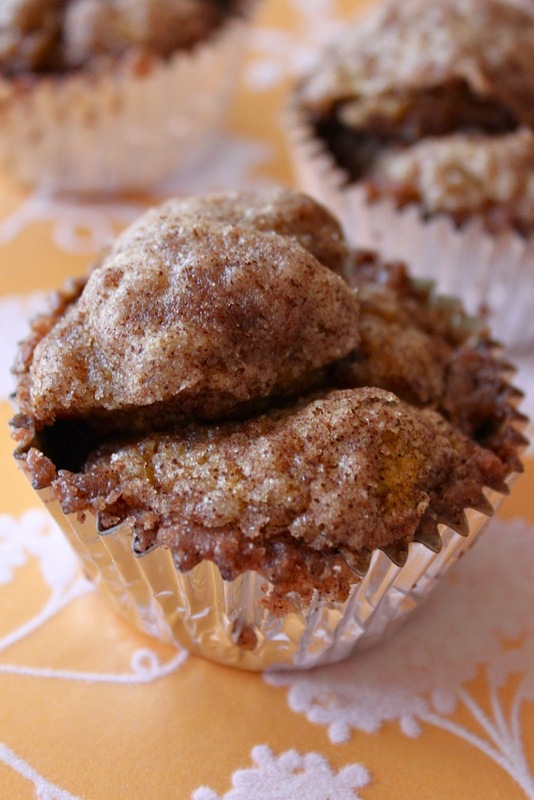 Mix flour, sugar, salt, baking powder, baking soda, cinnamon, mace, and nutmeg in a large bowl. In a separate bowl whisk together the milk, pumpkin, egg, 2 tablespoons melted butter, vanilla, and maple extracts. Add the wet ingredients to the dry ingredients until combined. Batter will be a moist dough. Meanwhile combine 1 cup up sugar and the 1 tablespoon + 1 teaspoon cinnamon. Drop rounded teaspoons of batter into the 6 tablespoons of melted butter. Once coated in butter, drop and roll in the cinnamon sugar mixture. Drop four coated dough balls into each prepared muffin cup, pressing down slightly. 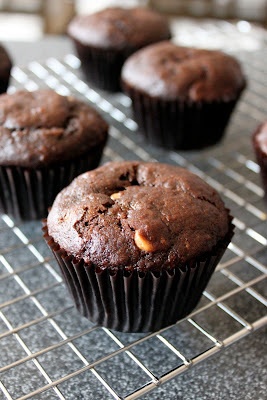 Bake in preheated oven for 10-12 minutes until tops of muffins spring back when touched.